Saw this while driving past and thought I should stop and take a look. 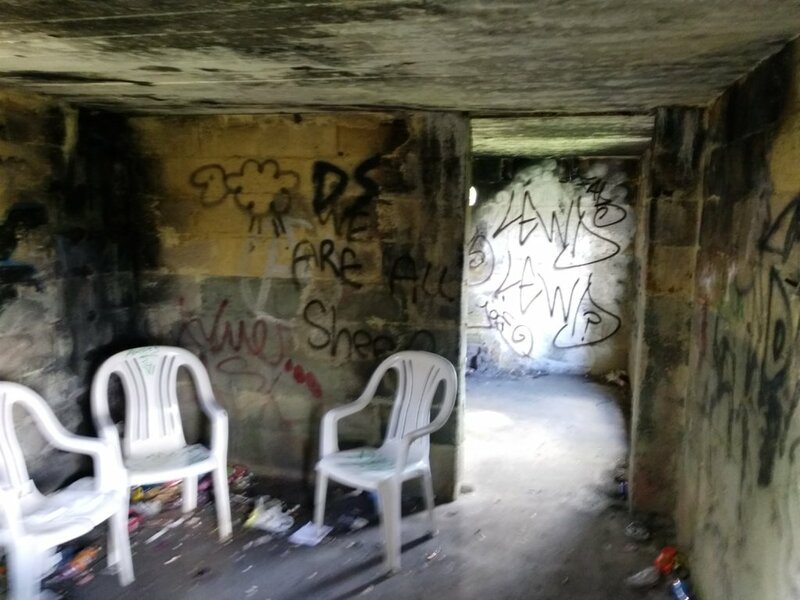 Not in great condition with heavy graffiti and lots of rubbish inside, including plastic chairs and sleeping bags. 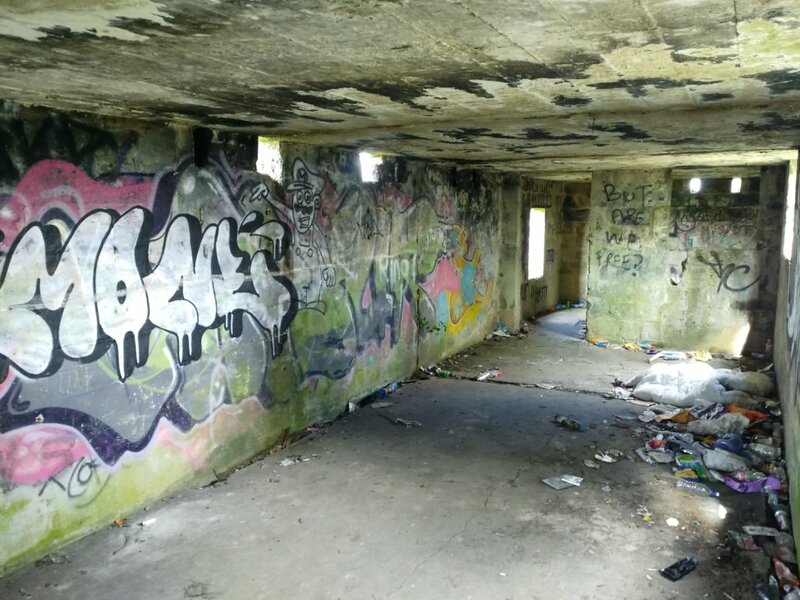 "The only surviving structure, located alongside a footpath is the battery command post which is in good condition. 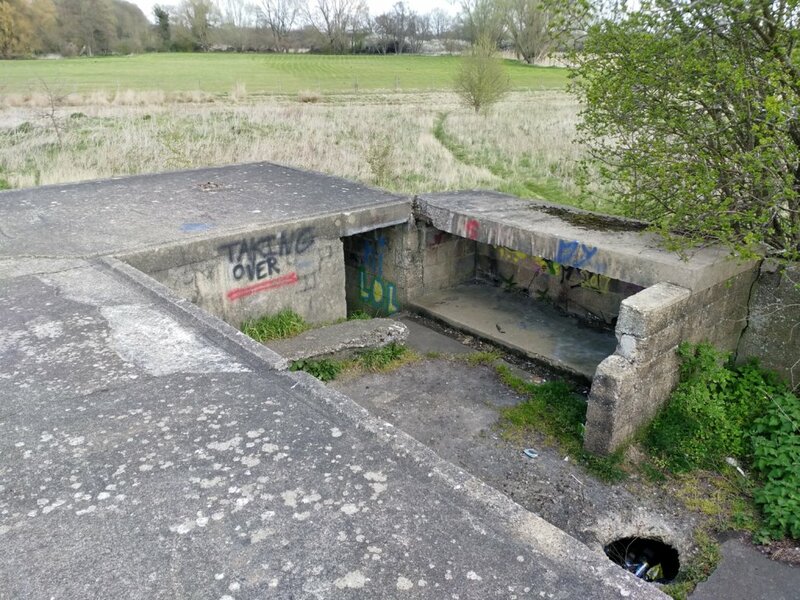 The gun pits in the adjacent field have all been filled in and there is no trace of any other buildings. Official records for 1942 state that the battery was equipped with 4 X 3.7" mobile anti aircraft guns operated by 344 battery of 109 HAA regiment. 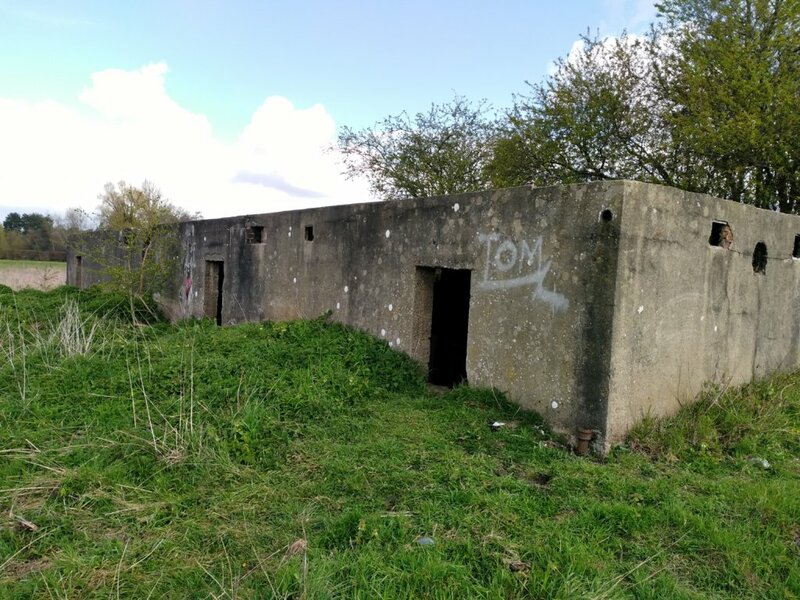 Mobile guns were not permanently emplaced with a holdfast but were on wheels and axles and were the anti aircraft equipment of the field army. All the equipment could have been removed from the site within 30 minutes. There was no radar at this site."